Located due south of Bay St. Louis, Mississippi, Cat Island is the westernmost barrier island along Mississippi Sound. It is a candidate for beach and shoreline restoration by the Army Corps of Engineers. 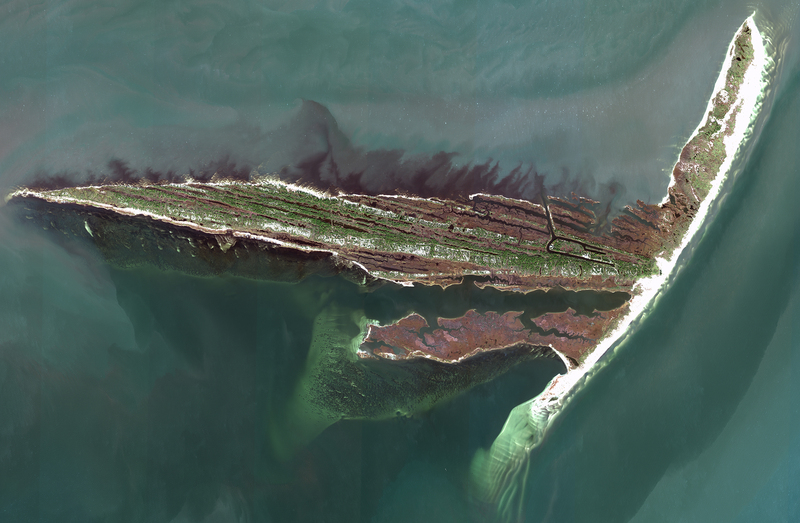 The Mississippi barrier islands have been impacted over the years by navigation channel maintenance dredging that affects the natural long-shore sediment transport and deposition for natural barrier island replenishment. These long-term trends make the islands especially sensitive to intense tropical storm-related erosion, as was recently experienced during Hurricane Katrina in 2005. Cat Island’s unique shoreline orientation offers protected waters for seagrass beds and hard substrates for oyster reefs. This project will develop the high resolution “time zero” baseline map for time series analysis and monitoring of the proposed restoration project.